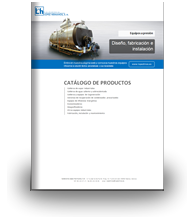 Recovery Water-tube Steam Boiler CRA - López Hermanos, S.A. 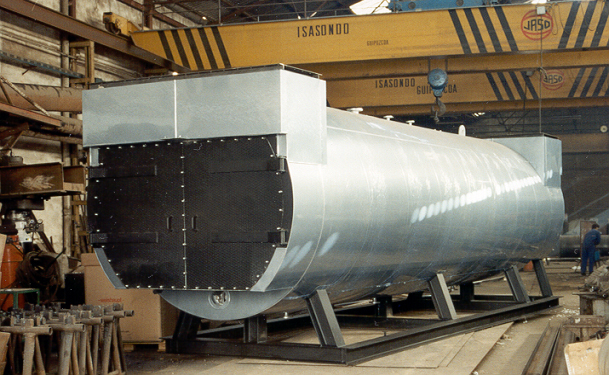 This water tube boiler has a wall of water tubes with carbon or stainless steel fins and two pumps or small boilers, one at the top and another at the bottom. It provides a very large heating area in a very small space which makes it very useful for plants with little horizontal space. It can also be fitted with an economizer and superheater to cater for factory requirements. Thanks to our great experience in building and assembling boilers, plants and fuel farms in cogeneration plants, Calderería López Hermanos is able to build and assemble any type of plant. When we receive a boiler enquiry, the model is calculated individually on the basis of all the parameters received and an in-depth analysis is then carried out to ensure the most suitable and efficient machine. 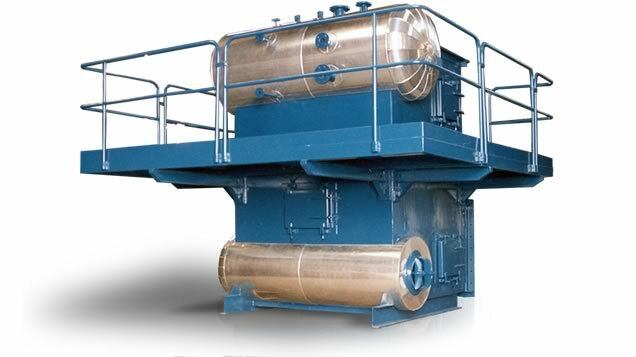 In the case of a solid-fuel chamber, turbine or motor, we also take into account the type of fuel, the space available for the boiler, etc, to get a full picture of the boiler required.